hosted by Sherry (Petite Over 40) aka the organizing super hero. Sherry was willing to do anything to ensure a successful meet-up. Sherry feels a like sister from another mister. We have very similar tastes and ideas. I still haven’t figured out how her huge heart fits into her petite body. She is a mini organizing/planning machine. I don’t think I’ve met anyone else who is so aware of the needs of those around her. As soon as I arrived at her place I felt like I was “home”. 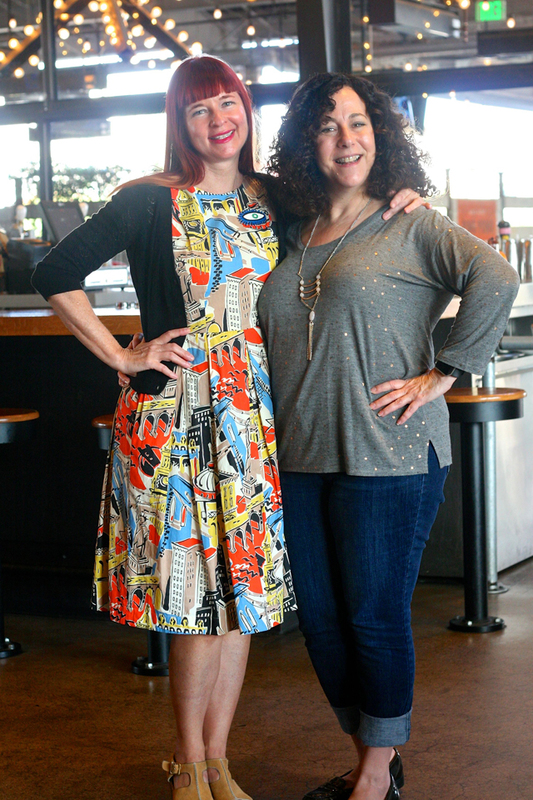 Sherry is a joy to be around and the reason this blogger meet-up was such a success. 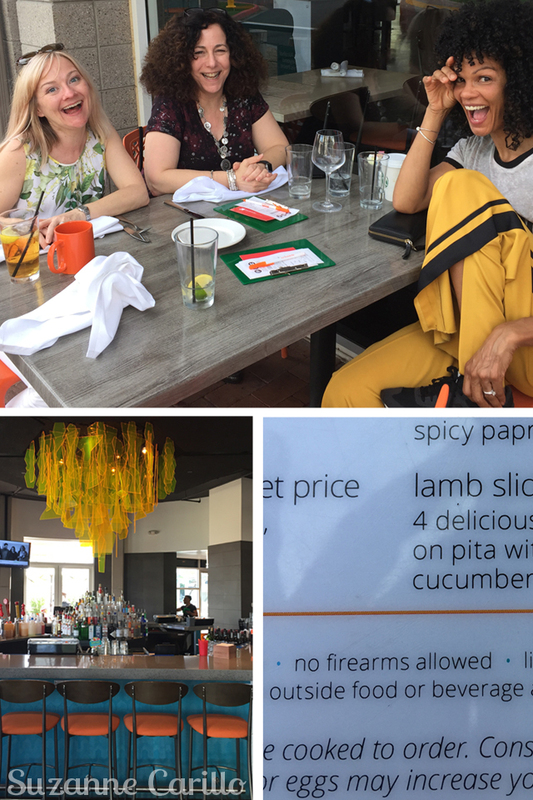 Good thing I left my six shooter at home as firearms are not allowed at this funky fun restaurant we visited. Just one of the many great places I was introduced to in Phoenix. Naked Burt Reynolds with a blond wig anyone? Don’t let anyone tell you Phoenix is only for “old fuddy duddies”. This place is full of vibrant, whimsical and hip art, culture and food with awe inducing scenery that makes you feel as insignificant as a spec of dust in space. 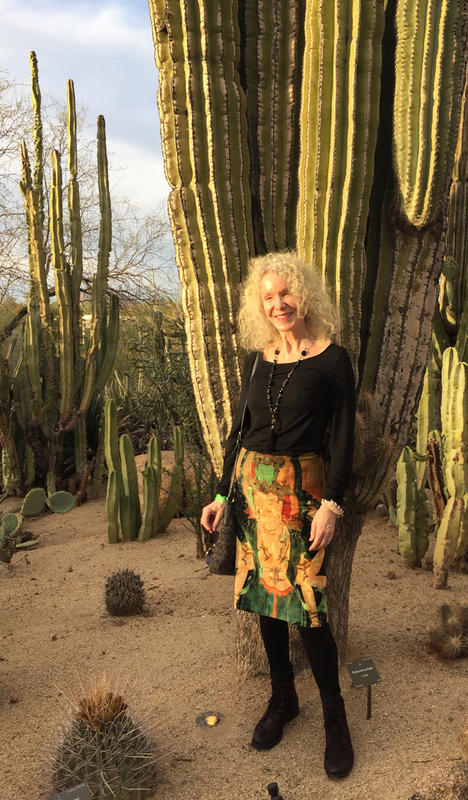 Sherry took me to visit the Arboretum which is a massive park on the outskirts of Phoenix showcasing the native plants and wildlife. 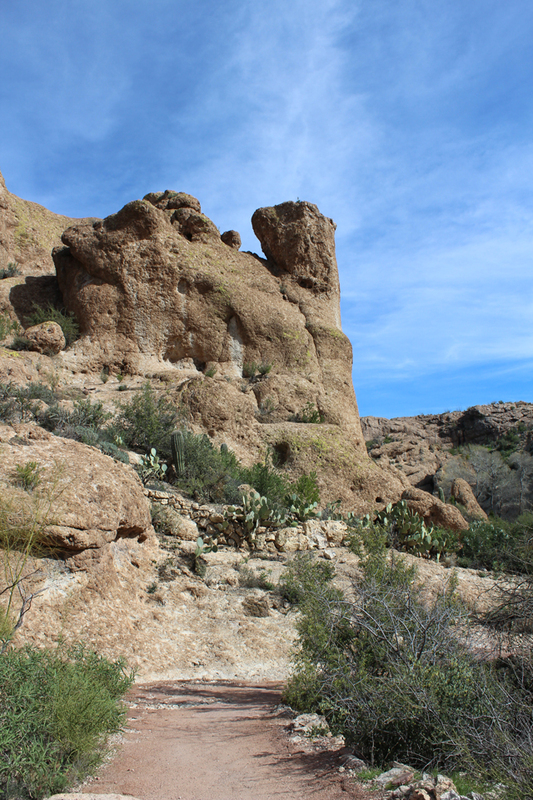 I half expected John Wayne to saunter up on his horse while we were out hiking this trail. The scenery looked like it was straight off a movie set. Every corner we turned took my breath away. Even the smells were sweet. Not something you normally associate with the dessert. 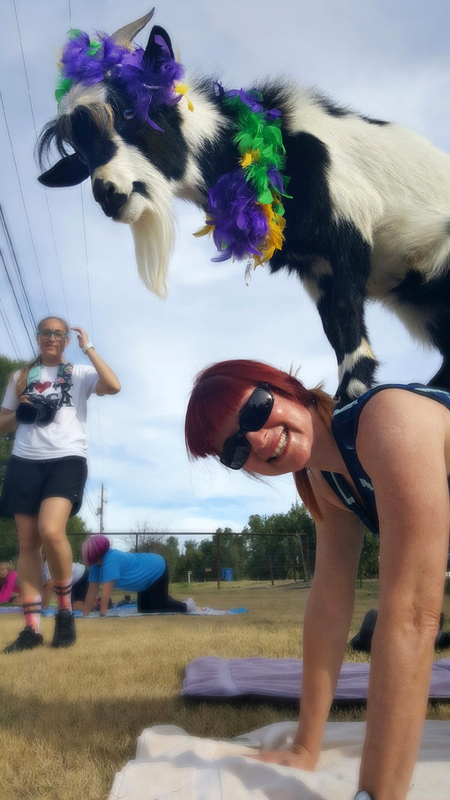 Yes, we did goat yoga and I loved it. I think we all did. Next on my list is baby pugs and yoga, but I doubt anyone would wind up doing much yoga. The meet-up started Friday evening with the surreal dreamy backdrop of a vast open sparkling Indian ink sky, cinnamon mountains and catci soldiers standing at attention outlined in the silver glow of moonlight. We were serenaded by Big Pete Peterson and his blues band in this Arizona paradise. I kept closing my eyes trying to freeze the moment in my brain and absorb every detail, my foot tapping along to the blues. One of the attendees was not a blogger but rather a blog fan. Jude, up in the photo above with me was a welcome addition to our gang. It was insightful to have the opinion of someone “on the outside”. Jude has high energy, a curious mind and a fabulous sense of fashion and personal style. It was amazing meeting someone that has only recently discovered fashion bloggers to get her opinions and feedback. Curly hair gals to the left…straight locks to the right. Want the scoop on the other ladies I met? Stunningly beautiful, crazy high energy, talkative, outgoing, fitness obsessed, excitable force of nature with a very clear vision of her personal style. Basically I want what she is having. Low key, initially shy, determined, focused blogger with fabulous hair and a wonderful smile. 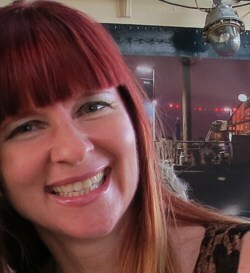 Rena is a skilled thrifter and secondhand shopper, another reason I was delighted to meet her. Patti and I have met three times now in real life and each time she is a centered and calming force. She has a bit of a mischevious twinkle in her eye and a wicked sense of humour. I wish she lived closer to me as she has brilliant insight and a way of getting people to open up. She always knows just the “right thing” to say. I call her my Pattie Barbie because she sometimes lets me choose what she wears. Give me your best Blue Steel look! Interestingly I learned that Facebook is still the best area to be posting on social media as a blogger. Surprising right? All you Instagrammers take note! I guess I’d better get back to posting on my FB page. 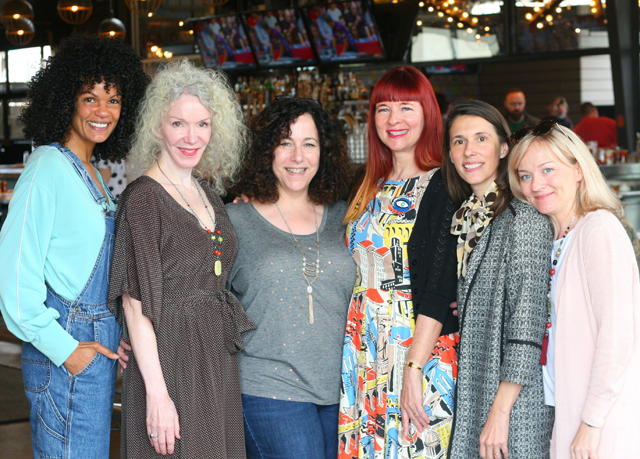 You may be surprised to learn just how little we focused on fashion or shopping at our style blogger’s meet-up. We took in one very busy and overwhelming high end consignment store called My Sister’s Closet during the meet-up. We only shopped for about an hour. I picked up one Missoni look-alike vintage knit maxi skirt and a few of the other ladies did quite well. Overall though we were more interested in getting to know each other rather than simply buying more clothing. After the meet-up was over Sherry and I took in one vintage store where I picked up a black velvet Charlie’s Angel jumpsuit with keyhole neckline and a unique plaid blazer. Sherry made out like a bandit at that thrift store. I can’t wait till she shows off some of her new treasures on her blog. One of them is very 1920’s style with lace and pearls. What you don’t see in this photo is that the little goat head butted me big time. I think he’d had enough of being held by strangers in spandex. The additional lady to the left is Arlene, a friend of Sherry’s that owns rabbits, dogs and a pig! Best part of the blogger meet-up? 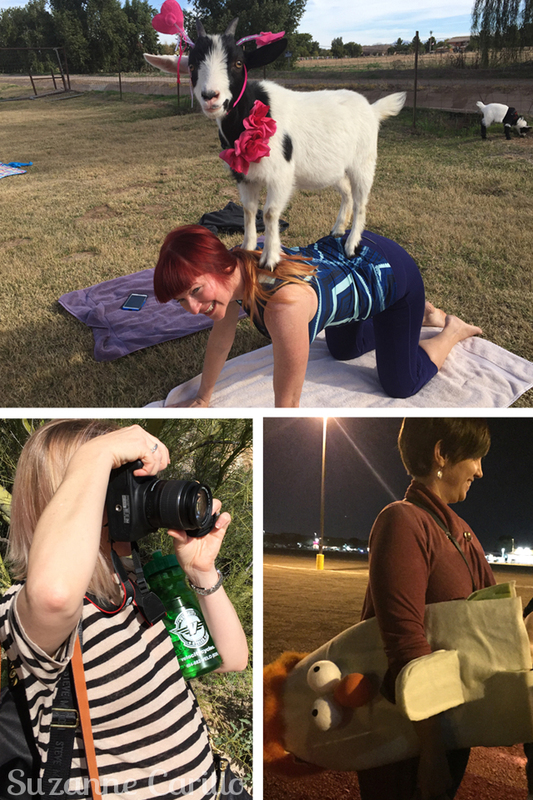 Getting a back massage by a goat and having the chance to meet and share ideas with fascinating, creative, powerful women. Whenever you think that blogging isn’t fulfilling you or you’re not making the type of money (ha ha!) or success you’d hoped for, try going to a blogger meet-up. Connecting with interesting people and making new friends is the reason I continue to blog. If you’re a blogger why do you blog? If you’re a reader why do you choose to read blogs? Wow! What a fabulous report on what was clearly a fun time. So glad to read about it. And the goat! Those goats totally steal the show. This looks like not only a great day for meeting up, but also a lot of fun. I follow most of the ladies featured here, so it’s good to see you all together. I’ll try to keep your link up in mind but already I feel like I’ve over committed and under delivered to those I have listed. Thanks for the invite! Ah…if only you lived closer! Zoe is sending you some pug hugs. After reading this posting I feel like I understated the importance of “writing skill” in choosing to follow a particular blogger. This posting is a little treasure that really enabled me to recall and savor the fun of being a part of this delightful group of women. Your description of our gathering was so beautifully and honestly crafted Suzanne. You put so much heart and care into your words and I feel privileged to have been a part of this story. I attended the meet-up because I wanted to meet you Suzanne . I’m SO glad I did because you’re just damned impressive. Even more so after having written this post. Fashion blogging is a lot more than styling, wearing, enjoying and discussing fashion. It’s a way women find each other, reveal themselves, share some hopefulness and become friends. Thank you Sherry, for welcoming me to participate. Thank you Jodie Filogamo for encouraging me to dip my toe in. Thank you Patti, Rena, Diane, Margo, Arlene, and Suzanne for including me in the memory making. It truly was a delight to meet you Jude. I’m so glad you took the chance to come out. These are the moments I cherish about blogging. You are a gifted writer yourself. I always savour your poignant ,well written comments. As bloggers we truly do appreciate those that take the time to openly participate in a conversation. What a vivacious bunch of women – looks like you all had a great time. I’ve never been to Phoenix, but I would go if the opportunity arose. The larger photo of you with the accessorized goat on your back should be a poster. I find that meeting up with like-minded folks renews my enthusiasm for blogging/writing/photography. It does the same for me. This meet-up happened at the perfect time. What a wonderful meet up! And a wonderful recap! I so would have loved to meet you all. Next time! And, I agree. 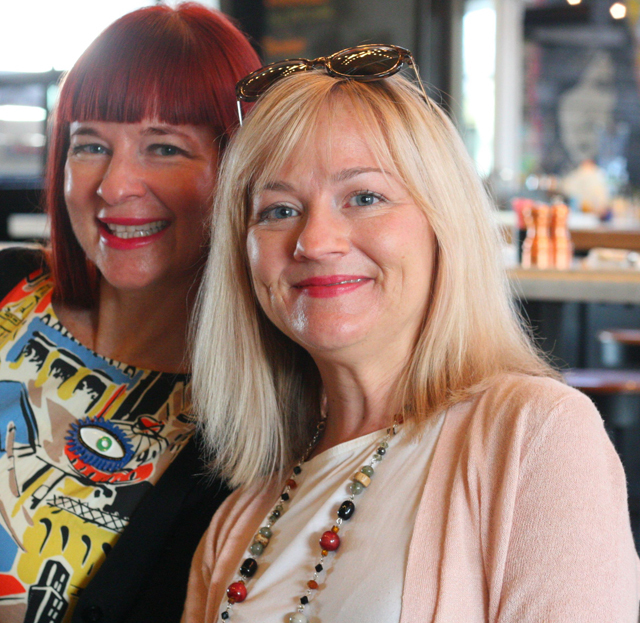 I think it is so important to make true, meaningful connections and form friendships with other bloggers. It’s certainly what has kept me blogging for the past eight years. And since I changed the direction of my blog several times, it also keeps the types of blogs I read varied and interesting. How fantastic! A great write-up, gorgeous photos and a wonderful reminder that the blogging shouldn’t be about the page views, sponsorship, freebies or having a massive amount of followers – it’s an opportunity to expand our horizons, connect with people we’d never had had a chance to in real life and to form friendships. Me, I want a meetup in the UK! Good excuse to get me on a plane! I agree with Anne! We need a UK blogger meet-up but it needs to be in 2018.
oh yes please… the UK would be soooo good for this Dutch girl. Then I could easily meet! Fantastic high energy post and I loved getting to know the bloggers that you met that were unfamiliar to me. Looks like you all had a wonderful time together. 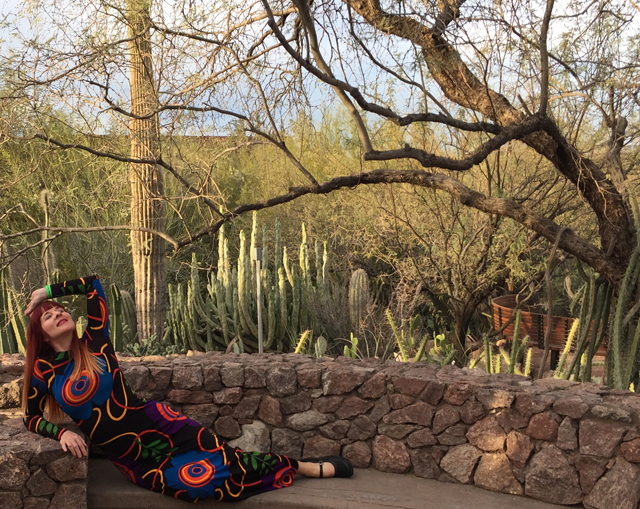 This blogger meet-up in Phoenix seemed to be amazing, dear Suzanne, and I am very sure that fashion was not the point of the meeting! Sherry for sure is a sister from another era and it’s also great that you met Patti again, and other bloggers! I think it’s just like you said, that meeting other bloggers are not about the success one has, or money made, etc. Although, do you remember a bully that I talked about once? Well, I felt so out of place meeting her blogger pals, cause all were competing from minute zero on. 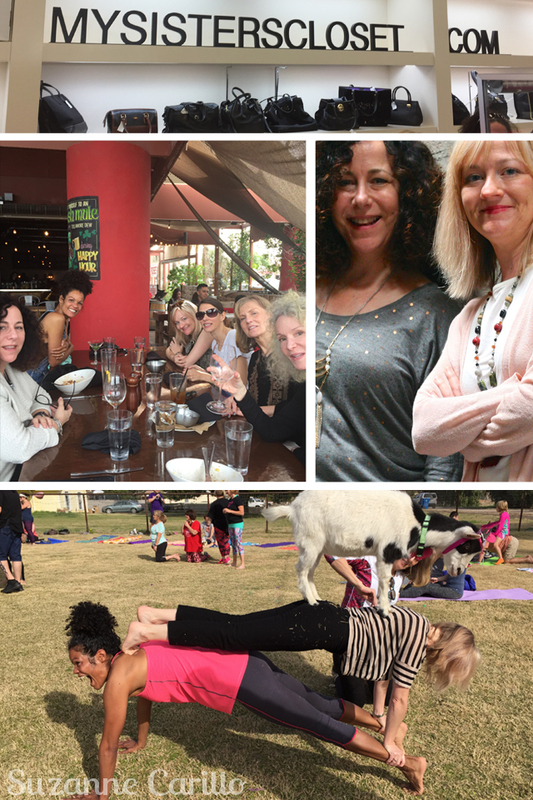 So overwhelming, I wish I have had this great experience like you all had, this time – and oh my word, the goat yoga looked great! I am waiting for pug yoga then! Great pictures, hope you have a nice week! Bisous! I’ve heard that blogger conferences are all about competing with each other, thus why I’ve yet to attend one. Now I’m EVEN MORE SAD that my Saturday class wasn’t canceled and I had to be teaching in LA vs cavorting with you lot. You were only a six hour drive away. It looks like you all had a grand time. The hotel where I took that photo of Burt Reynolds was a blast. It was filled with art. They had an interactive exhibit with light on the floor that would change when you stepped on it. We had a scream jumping all around trying to create our own masterpieces. I’m a reader, not a blogger. I read certain blogs because I see a bit of myself in the blogger’s aesthetic but the way THEY look at things, fashion, art, style, food, etc. is going to challenge me or make a light bulb go off over my head and expand my vision. Because frankly, if you’re not doing those things, why waste my time reading you? You are extremely entertaining, hilarious, have a great eye for color and pattern mixing and a cute dog to boot! 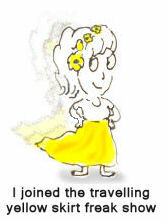 My question to you is do you blog for bloggers or for readers, or do you consider them one and the same? What a GREAT question Michelle! I posed a similar question when we were at the blogger meet-up. Lately it seems I blog to be part of a community rather than to provide information or entertainment to the general public. Most of the time it seems that bloggers are the only people that read my blog so I’m delighted you chose comment as a reader and let me know there are some readers out there that don’t blog. I do not consider bloggers to be the same as readers as I don’t think they are searching for the same content. Most bloggers already have their own personal style and aren’t looking for tips, tricks or inspiration from me. As bloggers we visit each other’s blogs to pat each other on the back and let the other person know they are valued. Everyone likes a good laugh though so that is where I think the two groups overlap and I can sometimes offer something for both of them. This is a question I ponder all the time. I’d like to delve into this on a deeper level. I should write a post on this! Thanks so much for the inspiration. Can I bud in? I think you have far more readers than commenters. The people who comment are indeed often other bloggers. Which is why a comment of a non-blogger is so valuable to a blogger. But there is a big big audience out there, who don’t comment, but still love to read you. And I like to read your blog because I know you, love you as a human being, because you are very very funny in your writing and have a very good eye for styling. So not just patting on the back. What an absolutely incredible time was had by all, it looks like! The yoga & goats is the funnest thing ever. And only Sherry would discover something like that, huh? I should have thrown caution to the wind, and joined you guys—although I’m still looking at my full suitcase and wishing it would unpack by itself from this weekend—-ugh!! Sherry does have a knack for finding the BEST things to do. 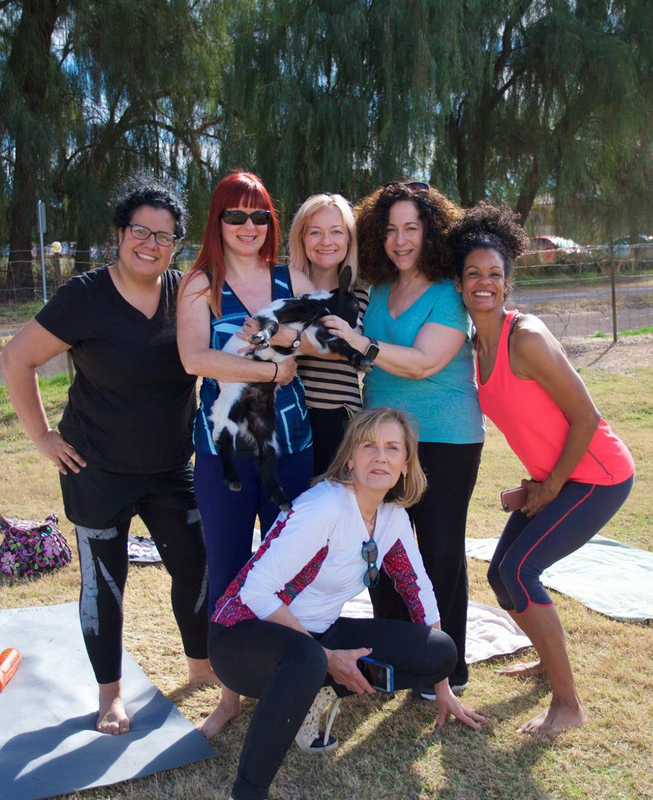 Yoga with goats! And listening to blue bands. Wow, now I’m really sorry I wasn’t able to make it. Looks like you all had a fantastic time. And I do love those dresses you’re wearing in your pix. Those graphic prints are outstanding. Looks like you all had a great time! I know I wouldn’t get much yoga done if there were a bunch of baby pugs! Love seeing the pictures of the meet up and you enjoying yourselves. I have never been there, but it sounds great with all of the arts and culture. 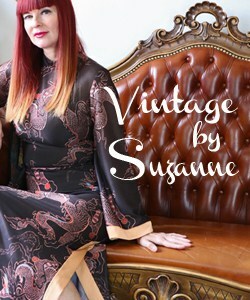 Wow, Suzanne, what a fabulous time you and your blogger friends had! Goat yoga! Ok! I am so impressed by the photos of genuine joy and friendship, such a great thing to be making new friends, and exploring new friendships, this keep us young! I do recognize many of the names and am glad to see them hear looking candid and so pretty, must most of all happy. I agre Pug yoga would be more my style, or maybe chihuahua yoga.. I love the glam pose and dress at the botanical gardens! Ha! That was a dash of inspiration when I posed like that : ) I only do those kinds of moves when I’m with other bloggers, otherwise I’d be too shy. How utterly devine.. what a fun meeting. You can see the joy, hear the laughter, feel the warmth. The pictures are so nice. It is indeed terrific meeting fellow bloggers. I know. You know. Why do I blog? No idea, because I like it. Period. All the women I meet, all the places I travel to, they are all because of blogging and I love that. It is such a bonus. But not the reason I blog. That goat on your backs… I thought it was photoshopped!! But you actually had a goat on your back whahaha. And Marillee is Jude.. right I knew that. Just forgot. Hope to seeing you in NY. Ha ha! Nope the goats are all real and adorable. There were babies there too. So what is it exactly that you get out of blogging? Would you still do it if no one read your blog? Are you doing it for yourself? No I wouldn’t. It is like with anything you create: you want to show it to the world, to as many people you can. Whether you are a singer, an actrice, a writer or a blogger. As an artist I don’t feel the same way. I create for the joy of creating. Doesn’t matter if someone sees it or not. Sure, feedback can sometimes be good but often it is negative. Artists often don’t like to open themselves up to criticism and feel vulnerable when exhibiting their work. Many times I don’t show my finished artwork to anyone but Robert. I don’t require an audience to create. I do it to feed my soul, not necessarily for anyone else unless I’m creating a present or something for resale. If I were to make something like a painting or jewellery I might feel the same. I did that but had no talent which was obvious, also to me haha. And I don’t like amateurism (an annoying thing in my character). Now.. suppose you are a writer and you write a book, would you then not want people to read it? Perhaps I am more of an exhibitionist. And I feel defeated easily and give up. Thinking about it again, I think you are right. When you are a true artist and you cannot help but create, you would continue even if nobody sees or buys anything you make. I am not like that at all. I don’t see myself as an artist, far from it. But my blog and my dressing are my only creative outlets. There is a school of thought that says we are all artists. I think the basic belief behind it is that life itself is a creative process and one cannot live with out creating in some way through their choices behaviors etc. I agree with a lot said both by you, Suz, as well as by Greetje. There is the creative process, coming from a talent and need from inside. The results of this can be kept for yourself. Or not. Maybe we want acknowledgement, connection with others, to entertain, make a living out of it or we do it for other reasons, but not purely for our own eyes only. Oh what a beautiful day that must have been! It looks like you all had a ball! Lovely photos and what a bunch of beautiful women! The goats were pretty awesome, too. My favourite, however, was the bewigged, naked, Burt Reynolds. My God – what a hairy man! Ha ha! Yes…Burt was a bit shocking! Goats…pugs…I’ll do my yoga with Burt any time! Sans the wig, that is. Your bloggers meet up looked full of fun and friendship which surely has to be the best thing about blogging. Your enthusiasm as a group is infectious and all of us who didn’t attend surely wish we did. I too thought the goat was photoshopped, so it’s even more hilarious that it was real. Golly it did look like you had the best time ever. It is too funny people thought I’d Photoshop that goat on my back! Ha ha! Yes blogger meetups are the best and this looked like so much fun! Look forward to seeing you again in august/september! Suzanne, what a marvelous trip down memory lane (was it only a week ago??) and how did I miss the naked Burt Reynolds? Like for you, this blogger meet up happened just when I needed it the most and I’m so thankful that I met you as well as Sherry, Patti, Diane, Margo, and Jude (Arlene, too). It was just as great to meet some blog fans as to meet bloggers IRL. I’ve come away from the experience with renewed enthusiasm for blogging even if it’s still a challenge to find the time to do it. Thank you for warmth and friendship and I hope we get the change to see each other again soon. This was a blast of happy air, Suzanne. From your writing and these photos, I can really feel what it must have been like to be there. And now I know that big cacti are for real, they’re not just props used in movies. That guns notice on the menu, bwahaha, that always freaks Canadians out. The geography overall, stunning!! I had to keep thinking of the movie Tremors though. Good thing you didn’t do pogo yoga. 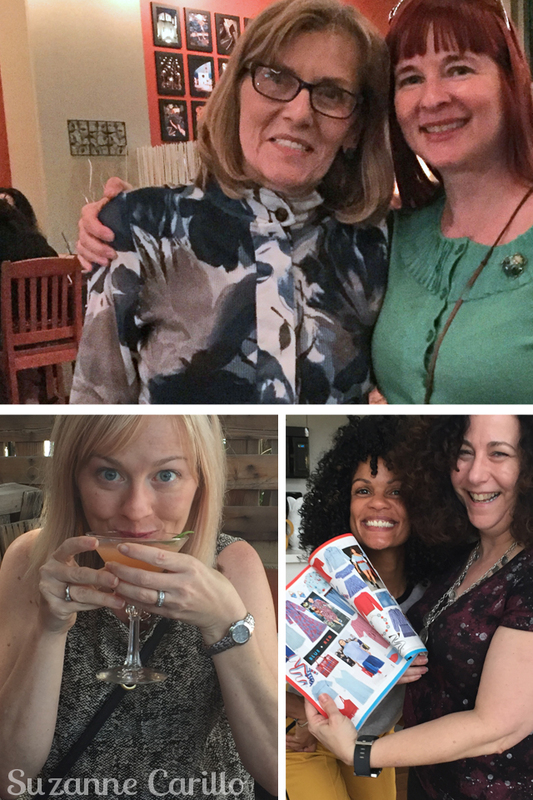 But the people – oh, how wonderful to have met all these incredible women! I can’t comment on each photo – there are way too many good ones. And the goats! I would have loved to see the baby head-butting you. Hahaha!! That’s interesting about blogger readers and non-blogger readers. I don’t think about who exactly my audience is, which is why my blog is so all-over-the-place. Pffft, hahaha! But good question. Both maybe? None maybe sometimes? Heh. Oh well. Thanks, Suzanne. I LOVED this post. Meeting up is the BEST thing that has come out of blogging for me. Okay, you can go take a nap. Well done. Thanks for giving me permission to take a nap. You and Zoë seem to have the whole nap idea sussed out. What an amazing trip. That goat yoga picture is the best thing I’ve seen all week! I used to visit My Sister’s Closet when my mom lived in Phoenix. Yep, getting to know bloggers as friends is the best part of blogging. So you know just how overwhelming that store is! Did you ever buy anything from it? Ha ha! They are quite well trained goats. They must wonder why they have been so well trained to walk on people’s backs all the time. Lovely post and pictures and so glad that you (all) had such a wonderful time together. I need to visit that restaurant and to see all those giant cacti! 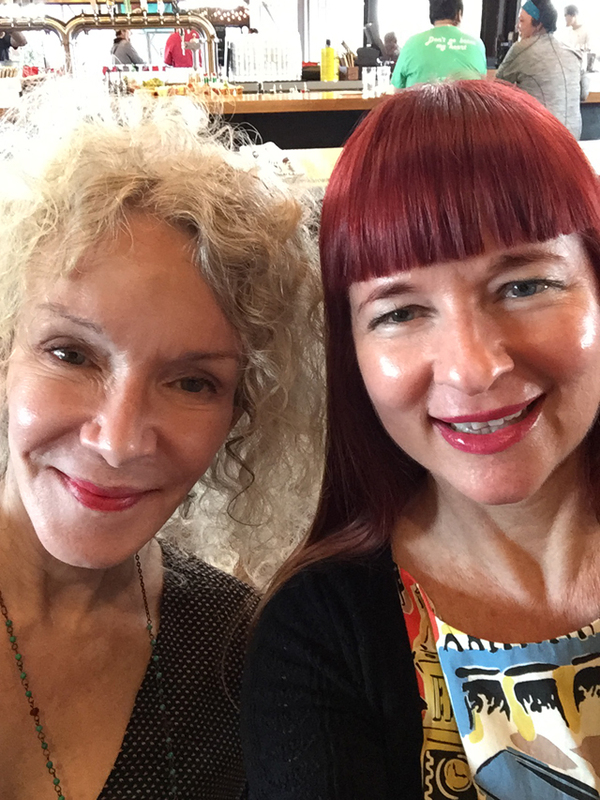 I think the best part of blogging and commenting is the connection, sharing time and interests with people through the world, and even meeting with that fabulous people in Real Life!! This looks like such fun! I virtually know you, Sherry, Diane, and Jude. I know and have so many virtual girlfriends that have been made through blogging. It’s gotten to the point, where I’m more close to many of my virtual girlfriends than the ones I have in real life here in Hong Kong. I don’t have that many here. Yes, I do have some very good ones, but it has been a weird phenomenon to be making such amazing virtual friends as well. I blog to inspire. I blog to keep myself inspired. I blog because it keeps me creative. I blog because it allows me to share my passion. I love getting dressed. I hope to help others enjoy getting dressed as well. I also believe that our best accessory is our confidence, and in order to feel confident, we’ve got to feel great in what we’re wearing. I read blogs for inspiration. I read blogs to remain connected to these virtual girlfriends I’ve been making. I read blogs for the community. It is hard to keep up with all of it though. Sometimes I struggle in commenting on others and even replying to my own. That’s just as important as getting the content out. I know this an area for me to improve. I try. I really, really admire the community you have going here Suzanne. It’s truly remarkable! 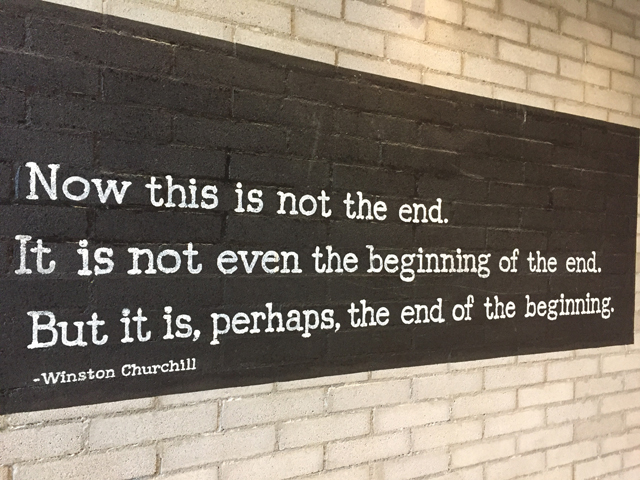 I’ll be back–many thanks to Jude, one of our mutual dear friends. However, now you really know her! Lucky you! !